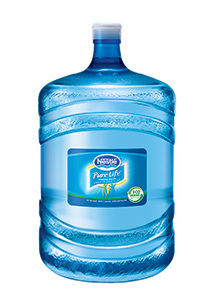 As your Ocala, FL Nestlé and Zephyrhills supplier, McCullough Water Service in Ocala, FL offers a full range of Nestlé Pure Life Water, Nestea Iced Tea and Zephyrhills Sparkling Water for your enjoyment. We are proud to be a distributor for a range of water and iced tea products from Nestlé. Nestlé is a world famous brand known for its commitment to quality. Add some flavored water or sparking water to your order for a change of pace. You get all the benefits of drinking water with some added pizazz. You can also order a range of delicious iced teas in amazing flavors. To order from us, call us today.